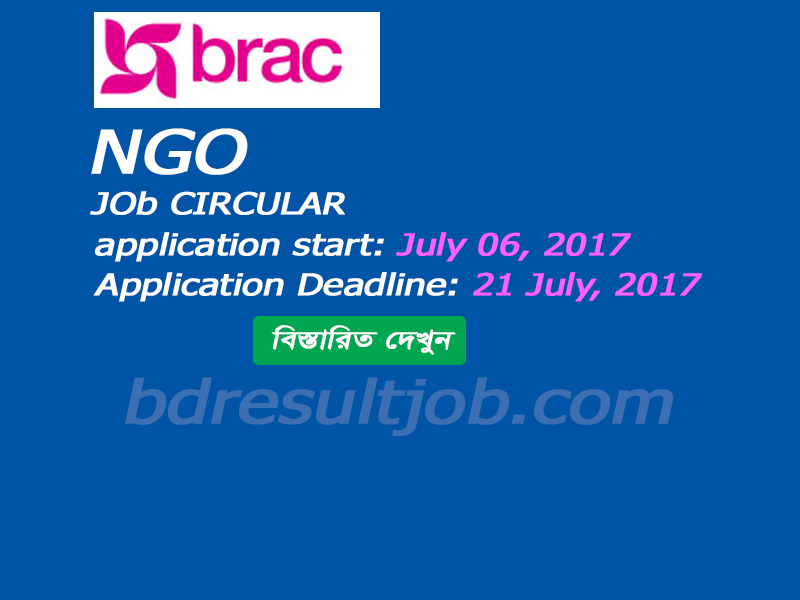 BRAC Job Circular Management Trainee 2017 has been published. The BRAC looking for the next generation of woman leaders for the post of “Management trainees” Online Application deadline is 21th July 2017. All Concerned Applicants can apply through www.bdjobs.com or by send mail. 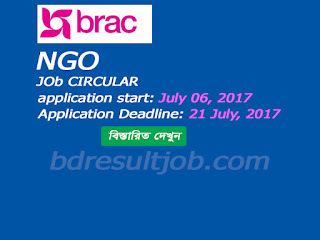 BRAC are the largest and 1 (one) ranked NGO in the world. BRAC are operation in 11 countries across Asia and Africa. Also, The BRAC is the world’s leading development organization, dedicated to alleviating poverty and empowering the poor. Therefore, BRAC Microfinance, a critical component of BRAC’s holistic development model, currently serves more than 5.4 million clients with savings and credit services and has 16,000 full-time staff spread across more than 2200 branches all over Bangladesh. BRAC offering a highly satisfying career experience for those seeking innovative ways to address social problems and take immense pride in upholding a results-driven culture that ensures fair gender participation. a. Be responsible for managing operations as a Regional Manager. b. Represent BRAC’s Microfinance Progamme at the regional level and coordinate with stakeholders from internal functions, government organizations and other microfinance institutions. c. Be placed at the head office based on performance after serving at least two years at the regional office. Experience: Preferably one year of experience. Interested candidate who confident to fulfill aforesaid criteria 2 way can apply.